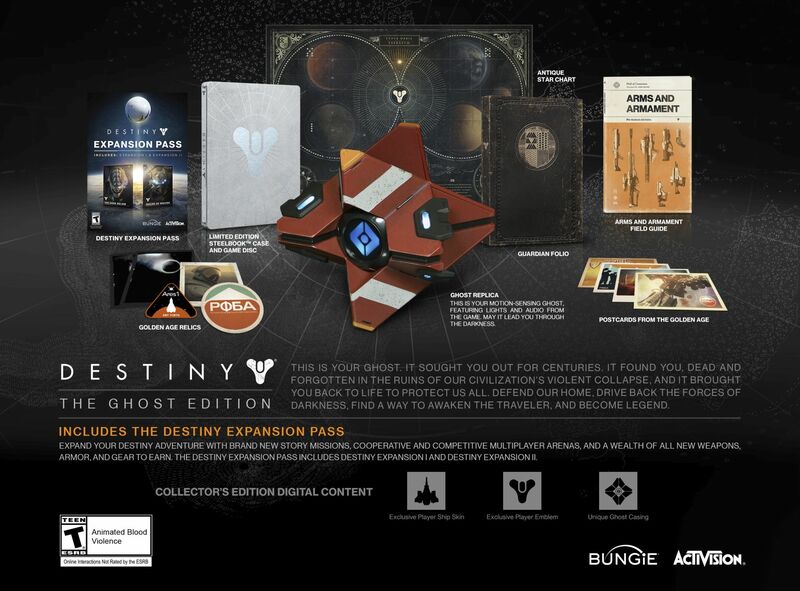 Then, there’s the Limited Edition ($99.99) which includes the same things as in the Ghost Edition above, except for the Ghost replica, the letter of introduction and the golden age relics. And finally, for those of you who prefer the digital version of the game, comes the Digital Guardian Edition ($89.99) which includes a digital download of the game, early access to Vanguard armory and player emblem pre-order bonuses, a reservation for upcoming Destiny expansions “The Dark Below” and “House of Wolves” (each of which includes new Story missions, cooperative and competitive multiplayer arenas, and a “wealth” of new weapons, armor, and gear), and the aforementioned Collector’s Edition Digital Content. So there you have it. If you prefer digital content, go for the Digital Guardian Edition. If you physical assets, but don’t have the cash, go for the Limited Edition. And if you just got your payroll and could skip that night out with your friends, go for the Ghost Edition. You can find all three of them on Amazon.